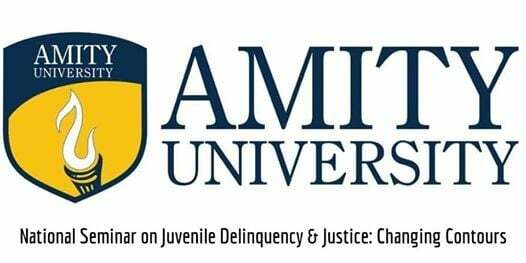 Greetings from Amity Law School, Amity University Madhya Pradesh. 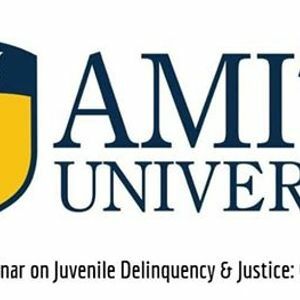 We are pleased to inform you that a ONE DAY NATIONAL SEMINAR on JUVENILE DELINQUENCY & JUSTICE: CHANGING CONTOURS ', is being conducted at Amity Law School, Amity University Madhya Pradesh on 30th March 2019 in an effort to provide a forum to discuss the various facets of Juvenile Delinquency. We look forward to a healthy participation in order to yield constructive ideas at this forum. After peer review process, selected papers will be published in the proceedings book with ISBN. Kindly find the link to the brochure and registration form.